Courtesy of NS Newsflash on Flickr. Focusing on the Reader: Engagement Trumps Satisfaction. Satisfaction is commonly monitored by news organizations because it is an antecedent to readership. In fact, countless studies have shown the satisfaction-readership relationship to be true. Still, an essential question remains: Is satisfaction the only, or even the critical, thing to focus on with readership? This research indicates that the answer is no. Two other related constructs, reader experiences and engagement, affect reader behavior even more than does satisfaction. The discussion provides examples of how to increase engagement and calls for experimental research to understand how news organizations can positively affect engagement and thereby readership. Two experimental studies (a lab experiment and a study involving a real usage experience over time) reveal the existence of a strong, positive impact of customer satisfaction on willingness to pay, and they provide support for a nonlinear, functional structure based on disappointment theory (i.e., an inverse S-shaped form). In addition, the second study examines dynamic aspects of the relationship and provides evidence for the stronger impact of cumulative satisfaction rather than of transaction-specific satisfaction on willingness to pay. Homburg, Christian, Koschate, Nicole, & Hoyer, Wayne D. (2005). Do Satisfied Customers Really Pay More? A Study of the Relationship Between Customer Satisfaction and Willingness to Pay. Journal of Marketing, 69(2), 84-96. With a plethora of news outlets today, audiences have more choices than ever. Yet, academic and professional understanding of news audiences from a uses and gratifications perspective remains limited. Using a national survey (N = 1143), this study uncovers distinct news consumption patterns across 4 types of motivations, and predicts media uses across 30 sources with noticeably higher explanatory power as compared to previous uses and gratifications studies, answering the question: Who is using what type of news, and why? This study examines patterns of news consumption across multiple media platforms and relates them to civic participation. Analyzing a national sample of close to 25,000 respondents, nearly half the adult population in America is classified as news ‘Avoiders,’ and the other half as ‘News-seekers.’ Testing the relationship between civic participation and news consumption for each of 6 media platforms individually, and to an overall index combining those sources into 1 measure, the results show a positive relationship with civic participation, but the influence of Total News Consumption on civic participation is greater for Avoiders than for News-seekers. Focus groups in three cities were conducted with young adults (ages 18-29) to understand why they, don’t read daily print newspapers. The study examined news media avoidances, like “inconvenience” and “lack of time,” to uncover underlying meanings. Results showed prominent nonuse reasons have dimensions. 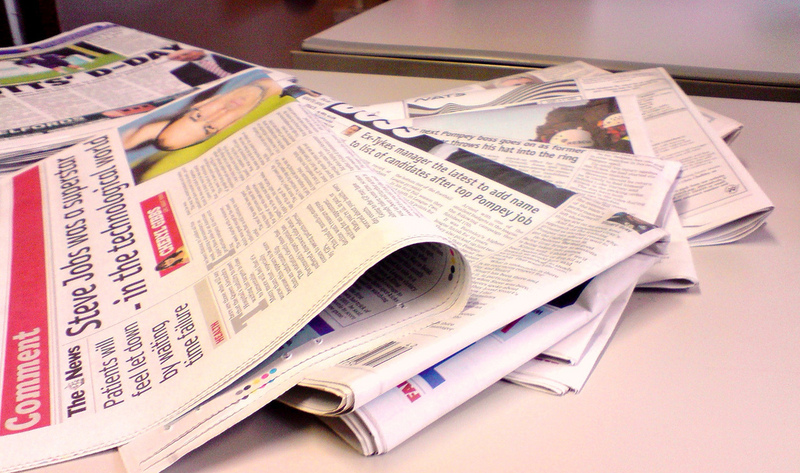 Participants also suggested ways newspapers could improve. Participants were studied as two age groups, 18-24 and 25-29. Small group differences did emerge. The older group wanted less negative news, while the younger group justified it; the younger age group was more skeptical of the news and mentioned needing greater effort to understand it. Zerba, Amy. (2011). Young Adults’ Reasons Behind Avoidances of Daily Print Newspaper And Their Ideas For Change. Journalism & Mass Communication Quarterly, 88(3), 597-614. This study investigates how young adults use news and location-based services on their smartphones, in addition to examining how many news organizations offer mobile news apps with geo-location features. Based on the survey findings, young adults are consuming news on their smartphones. Furthermore, there is a high use of location-based services by smartphone consumers, but news organizations are only using geo-location features in their mobile apps for traffic and weather. This study highlights that a gap exists between what news consumers, particularly young adults, are doing and using on their smartphones and what news organizations are able to provide. Using the frameworks of innovation diffusion and technology acceptance model, this study examines the predictors of mobile news consumption among young adults. The results show that the perceived relative advantage (especially content), utility, and ease of use of mobile news are positively related to its adoption. The young adults’ news consumption patterns and preferences, as well as media usage, all play a role in the adoption of mobile news. This study also validates the importance of examining the adoption outcome from multiple perspectives. Internet is generally expected to have one of two effects on traditional news media: It displaces them, or it forces them into distinct market niches. A shared assumption underlying both expectations is that news media displacement, or substitution, is a function of the degree to which news media are functional equivalents. This article explores this assumption from a niche theoretical perspective, using survey data from 2 student samples as illustrative cases. Findings indicate that, for these students, news media substitution does not depend on functional equivalence of media in providing gratifications and gratification opportunities or types of content. Post hoc analyses suggest instead that, for this particular audience, media use depends on habit and media accessibility. Follow-up studies should further investigate these relations for representative samples.